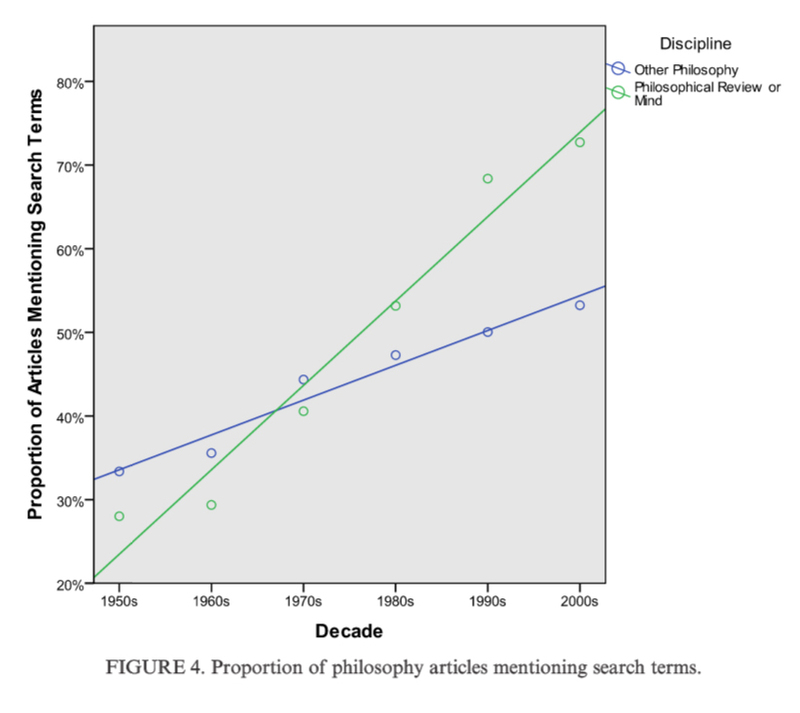 The proportion of philosophy articles indexed in JSTOR indulging in intuition talk has grown from around 22 percent in the decade 1900–1909 to around 54 percent in the decade 2000–2009. 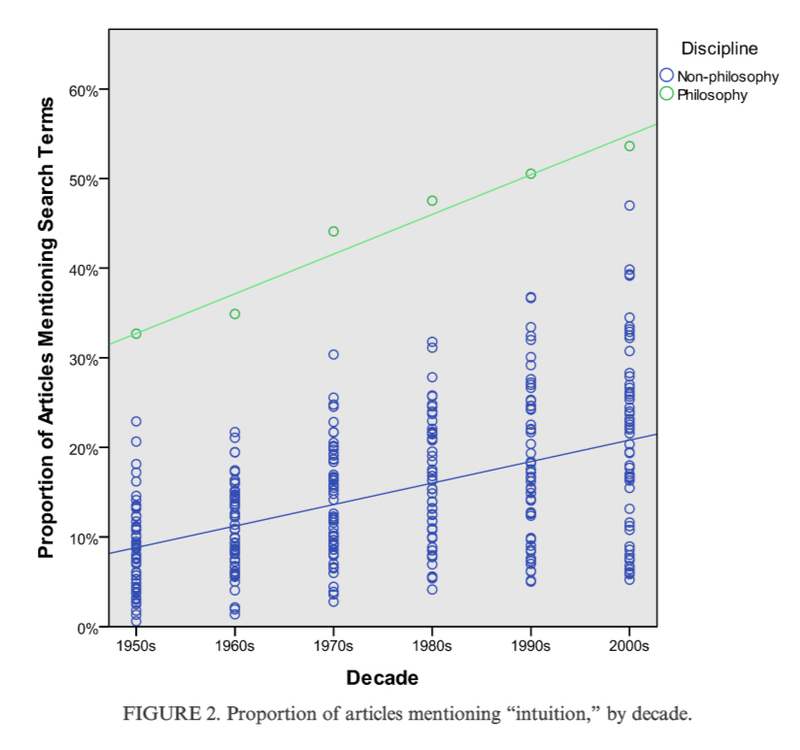 Andow looks into how and where intuition talk grew, in the hopes of providing the data that any account of its growth would need to explain, noting that different explanations might generate different thoughts about relying on or referring to intuitions in philosophical work. 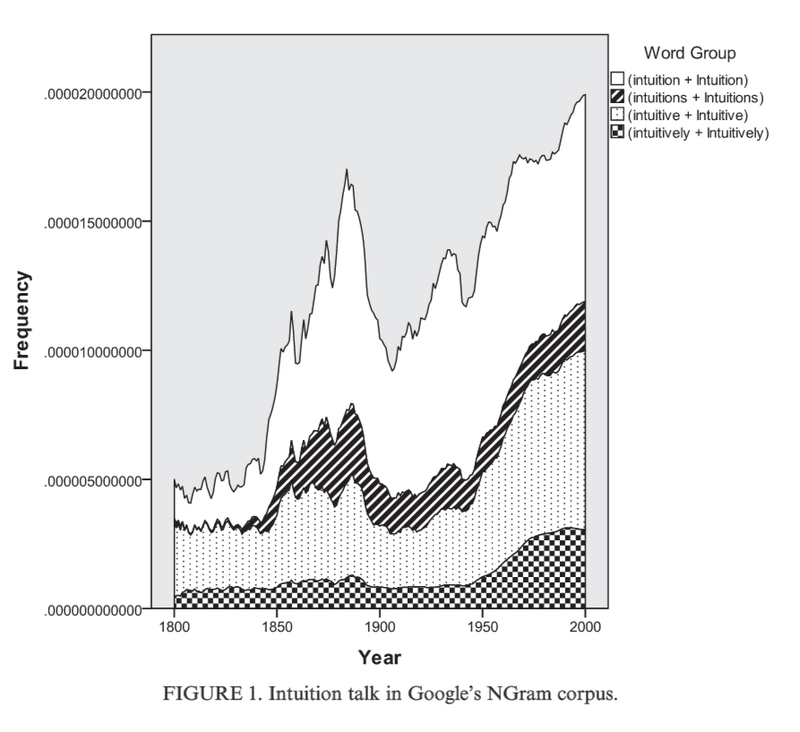 Towards the end of the paper, Andow discusses possible explanations for the rise in intuition talk, including: correlations with certain psychological traits that seem to be on the rise in the general population (such as extroversion and narcissism), the fragmentation of academic research into relatively homogeneous communities that have shared intuitions to refer to, and the increase in the proportion of female academics. He emphasizes that these are mere suggestions and that further research is needed for an accurate explanation of the data. Your thoughts are welcome.